Weissenberg for brains and beauty. We now have a Petit Basset Griffon Vendeen to add to our kennel. 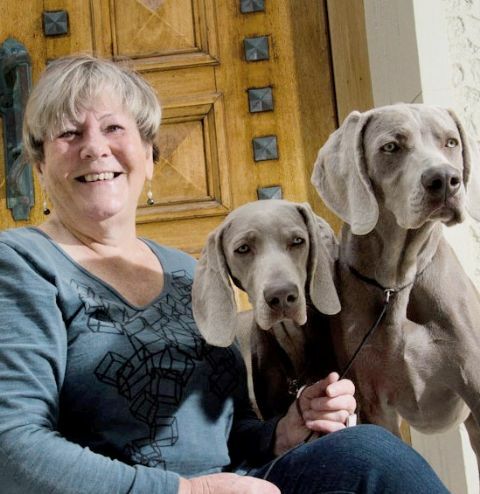 We purchased our first Weimaraner in 1979 and a love of the breed has never diminished. Our dogs are DNA tested for the conditions which effect Weimaraners and are sold free from these conditions. We xray cervical spine for any abnormality as an early indication of wobblers and Hip xray prior to breeding the majority of our dogs. Our vet also checks eyes at the 8 week vaccination. We only use the best vaccine available and have had no side affects from this vaccine or sick dogs since managing this regime. The site is being upgraded on an ongoing basis.